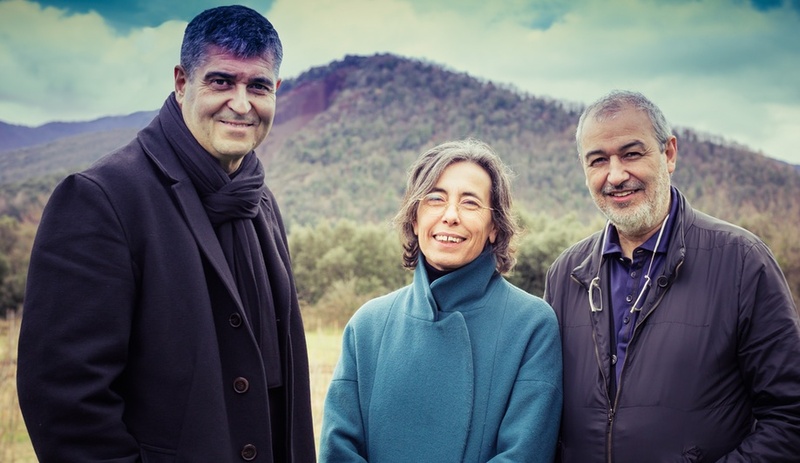 Run by Rafael Aranda, Carme Pigem and Ramon Vilalta, 2017 Pritzker Prize winner RCR Arquitectes has built the majority of its projects on its own home turf. 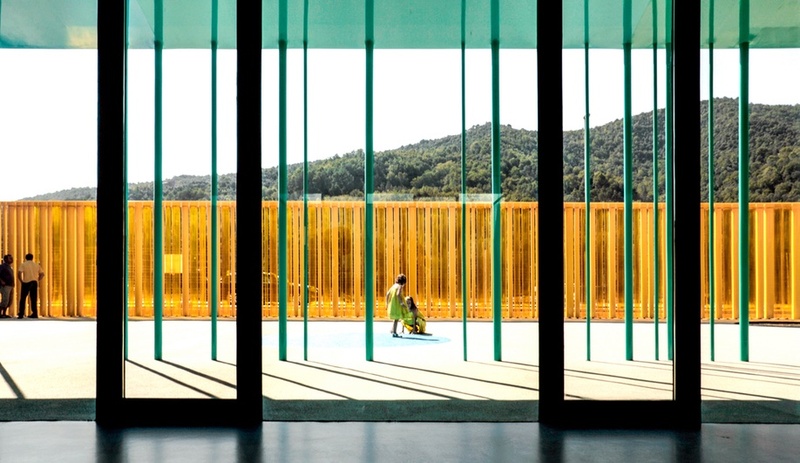 Here are six reasons why their poetic buildings are so profound. 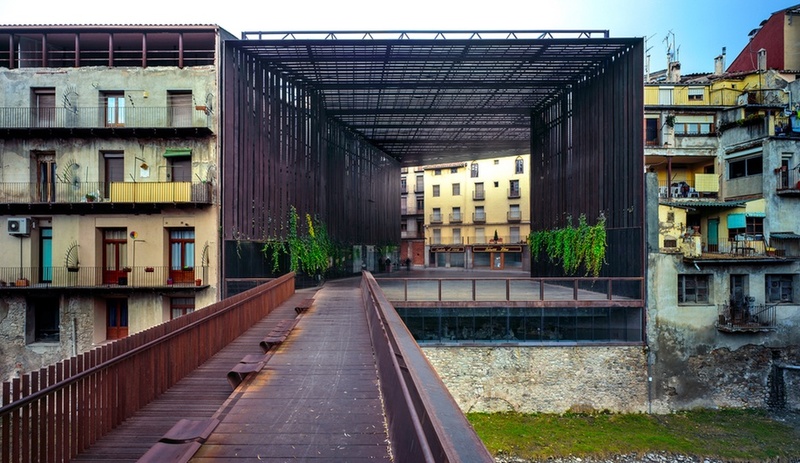 Their office in Olot is inside a 20th-century foundry where remnants of the original building have remained, and are now blended in with new and contrasting elements and materials. Together, the principals work at one large table at the centre of the room – an arrangement that is conducive for long conversations. According to The Guardian, slippers are usually what’s worn on everyone’s feet. The project, won in 1988, was a break-out moment for the trio. 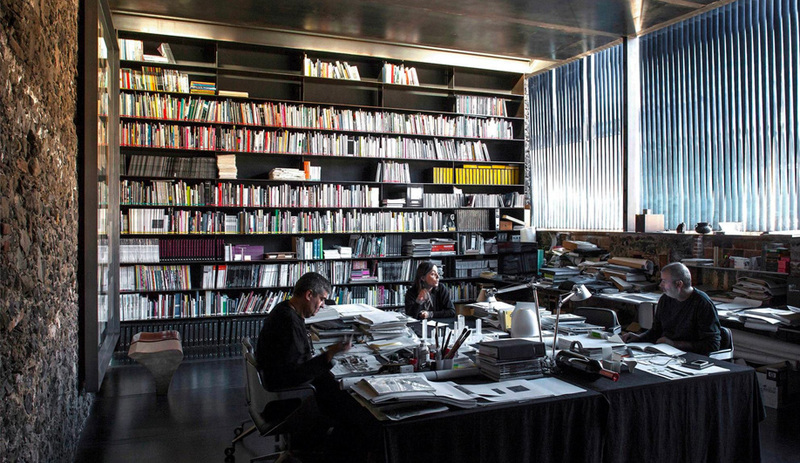 They had not yet formed an office, so the prize became the catalyst to launch their practice. 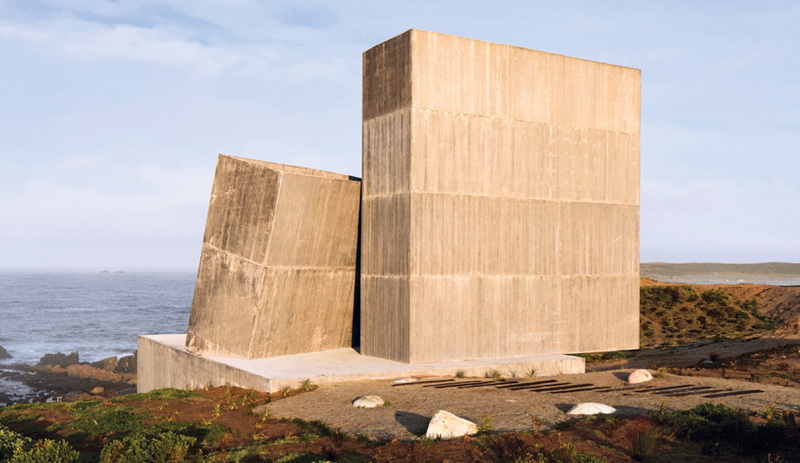 While a relatively small project, it planted the seeds for their ongoing approach to architecture: the idea of “pondering the essence of the typology,” which is still one of their guiding philosophies. The lighthouse they built barely resembles a traditional one; it’s more like an enlarged light that juts out into the water. 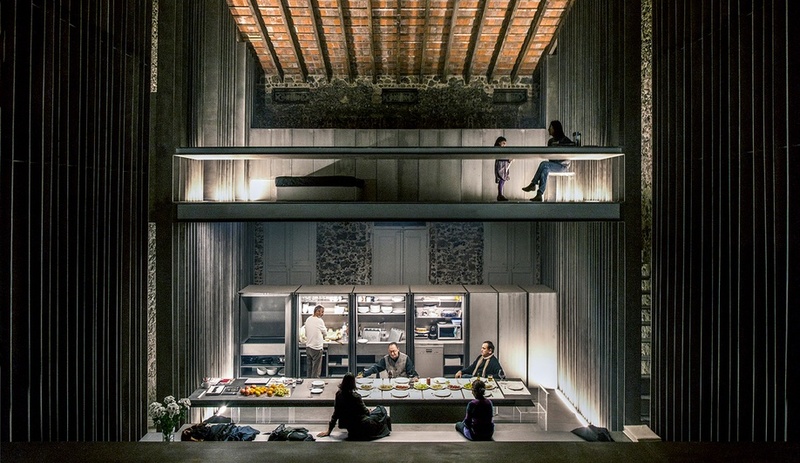 One of their most beautiful projects is Les Cols Restaurant Marquee, completed in 2011. Located in the city where they work and live, the structure’s lightweight roof is made of tubes that curve due to their weight. They are supported by stone walls at each side, where trees have been planted. 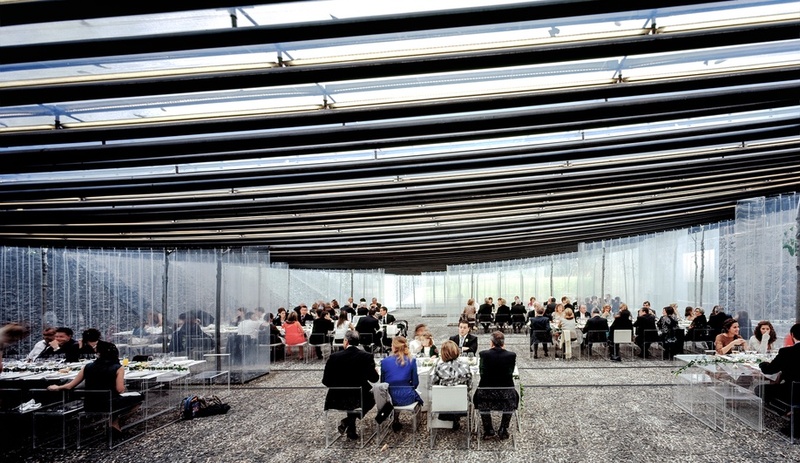 Plexiglas tables and chairs throughout the space give the appearance of seated guests being suspended in air. 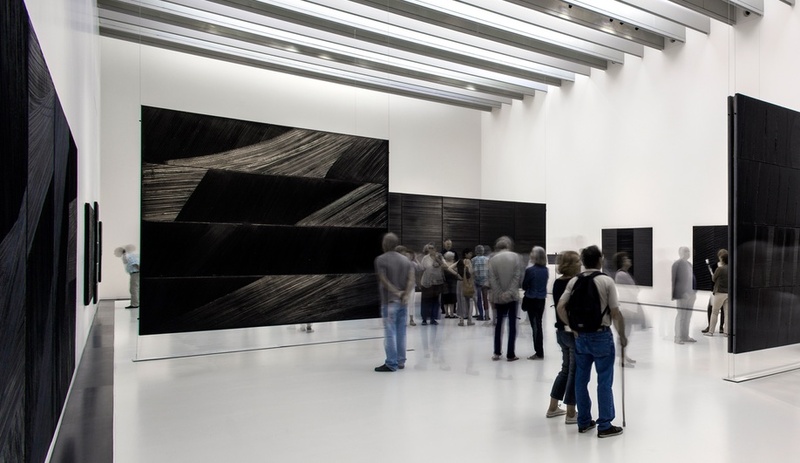 The Soulages Museum, in Rodez, France, is one of their first non-Spanish projects. 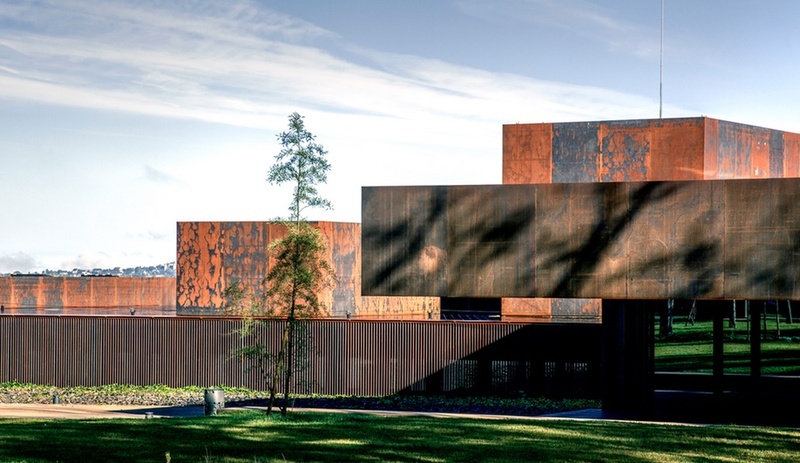 Its container-like volumes, which house a collection of works by abstract artist Pierre Soulage, is a succession of cubes clad in Cor-Ten steel. 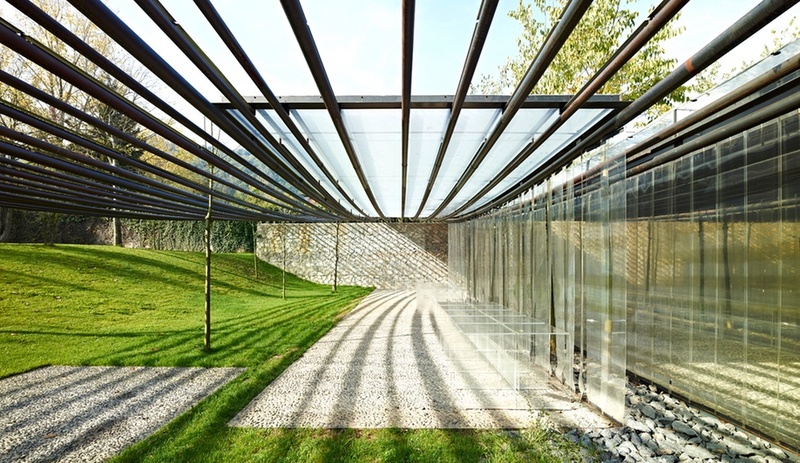 Over time, the firm foresees the building and landscape merging together and slowly changing. 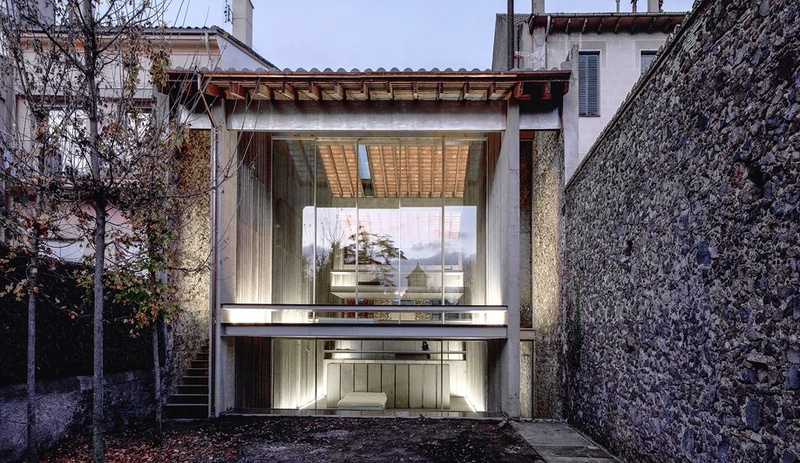 Many of their projects are an expression of one or two raw materials. 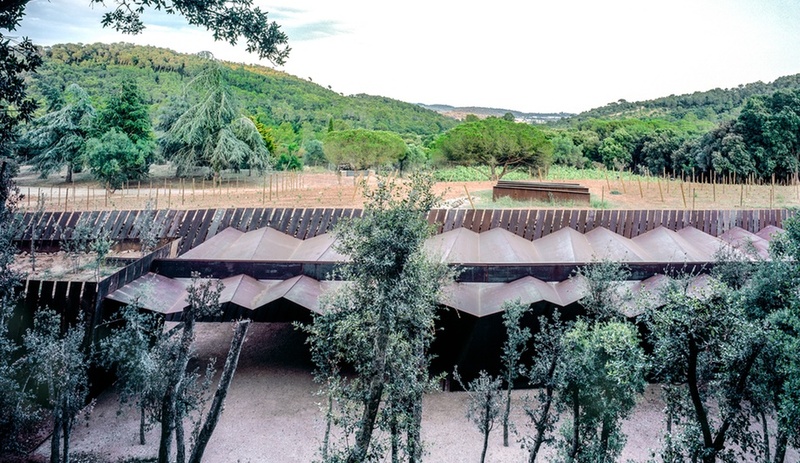 The Bell–Lloc Winery in Palamós, Spain, for instance, is made almost entirely out of recycled steel and stone. 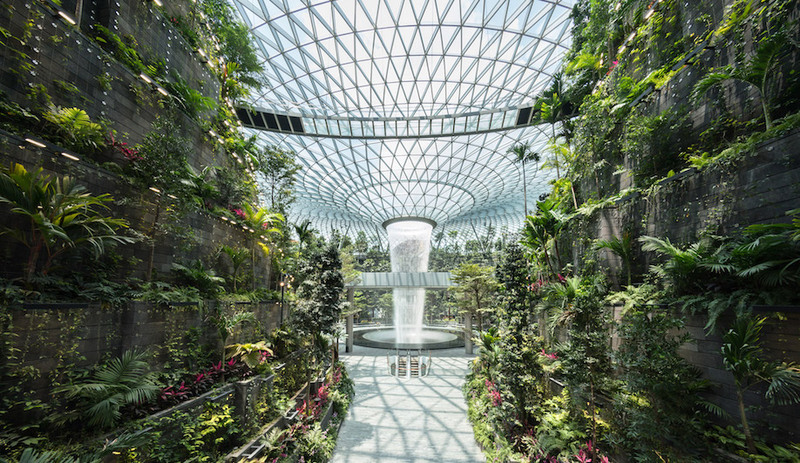 It is designed for visitors to experience every sense – from the aroma of the wine, to changes in temperature, to the dramatic play of light and shadows. 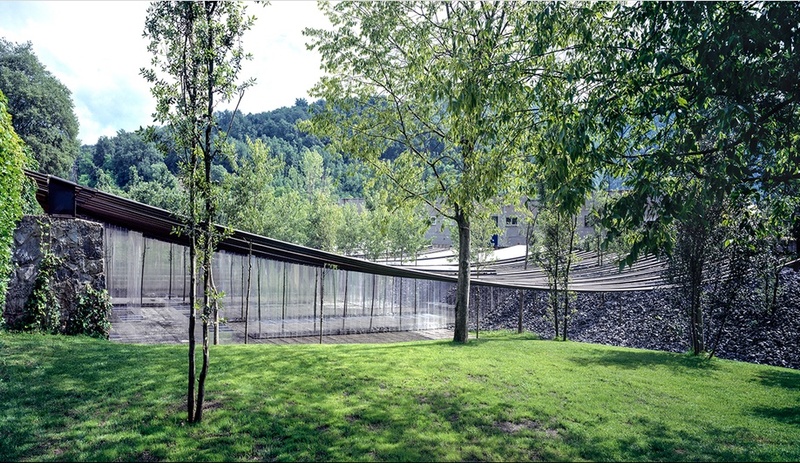 Cellars for private wine production and tasting are located between the vineyards and the woods, and designed in such a way that part of it is underground, thus creating a union where landscape and buildings become one. 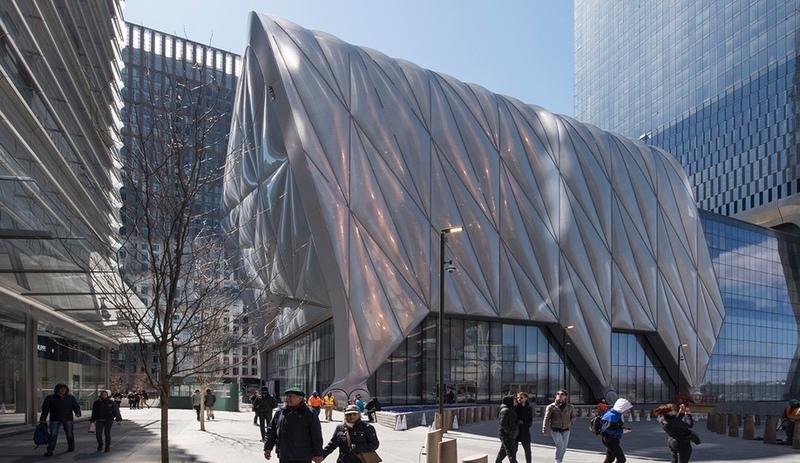 A promenade is defined by tilted recycled steel sheets with slits between them to allow natural light to penetrate. 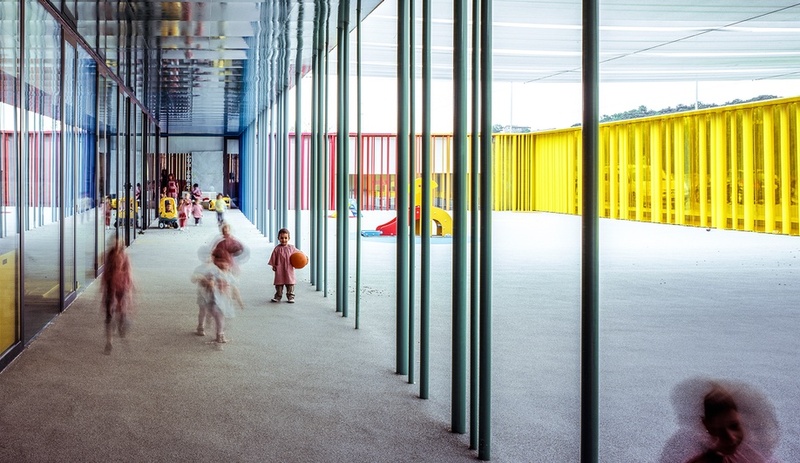 El Petit Comte Kindergarten in Besalú, Girona, Spain, is perhaps one of the happiest and most colourful nursery schools anywhere. The 1,000-square-metre municipal school for approximately 80 children was completed in 2011. 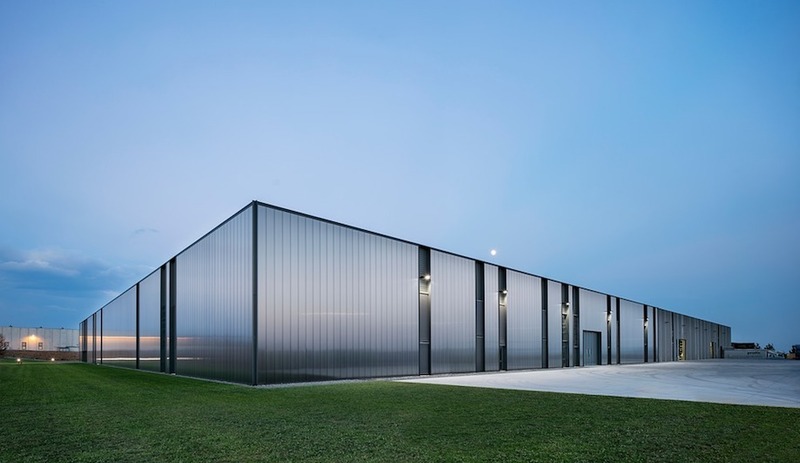 It’s a simple rectangular building with a courtyard at its centre and a perimeter defined by hundreds of vertical tubes (some of them structural). 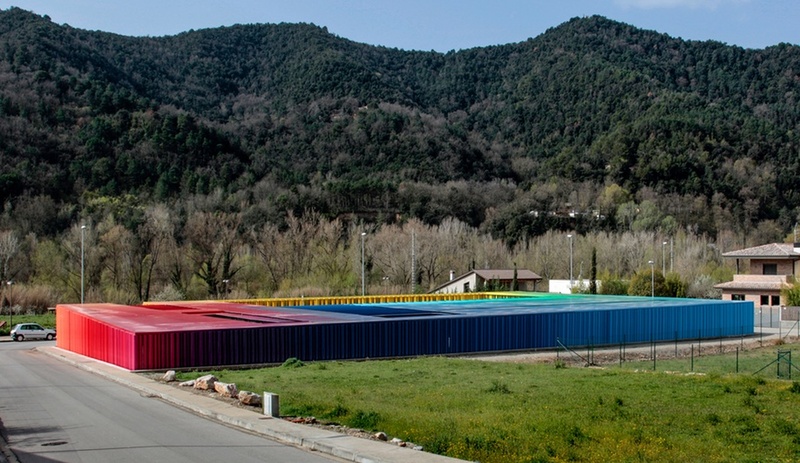 The rainbow of colour, which some writers have likened to giant coloured pencils, is an inspiring way to create a place that embraces the spirit and desires of children. 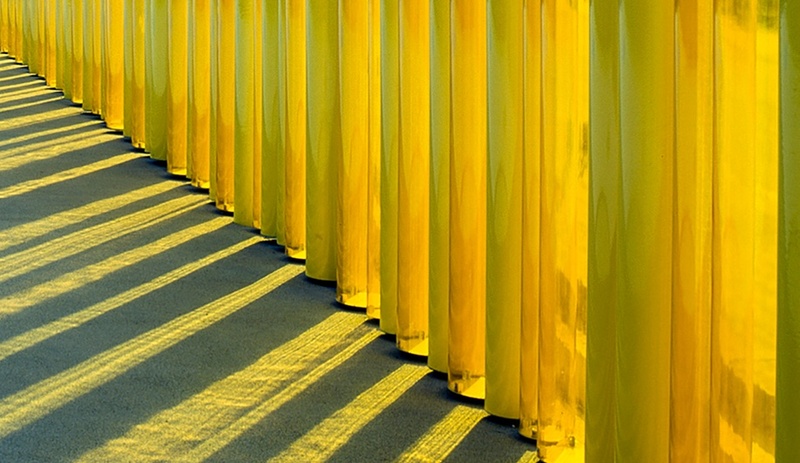 Some of the tubes even rotate for an added element of playfulness. 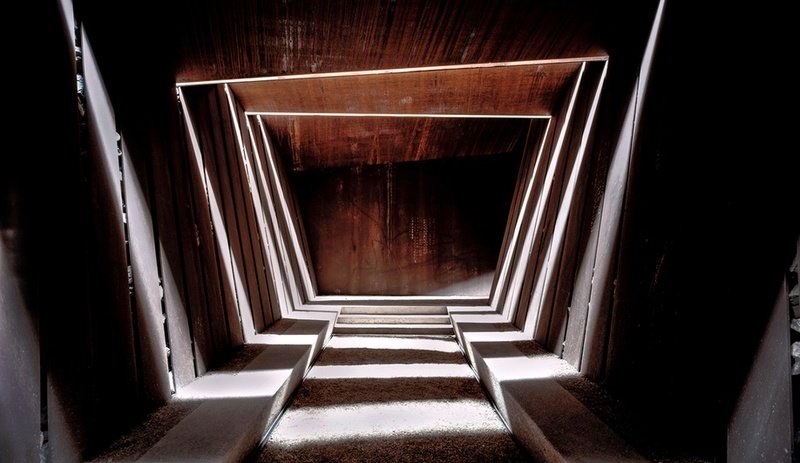 The Pritzker Prize is given out annually since it was established in 1979 by Chicago entrepreneur Jay A. Pritzker. The winner receives US$100,000 and a bronze medallion. The ceremony is held at a different location and country each year. This year, it is being held on May 20 in Tokyo, at the State Guest House, Akasaka Palace.